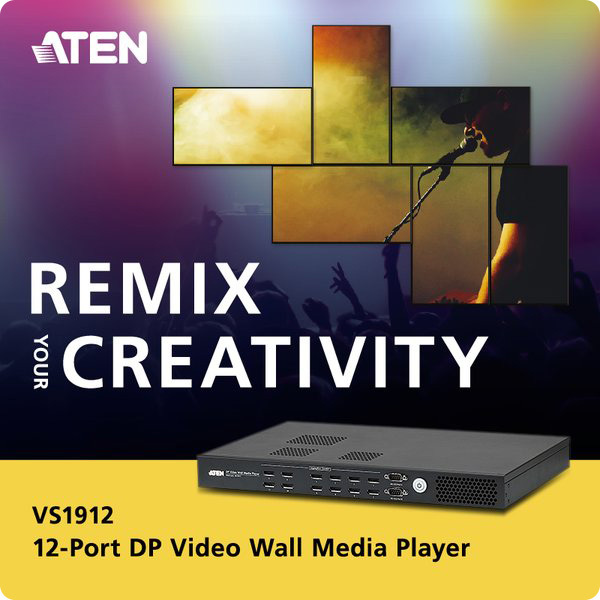 Dominion KX III's next-generation video processing engine supports dynamic broadcast applications that require 1920×1080 resolution, 24-bit color, digital audio, DVI-based digital local port for at-the-rack access, and dual monitors. Dominion KX III's streaming video capabilities enable a 1080p movie (with audio) to be viewed at 30 frames per second over an IP network. Dominion KX III is ideal for resource-intensive video applications in broadcast, government & military, security, financial, scientific, transportation, industrial, and utility firms ...read more. 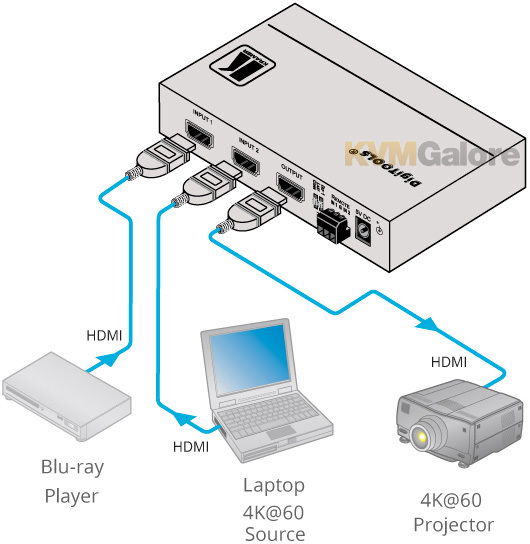 KVMGalore today announces the availability of the new ATEN VS1912 12-Port DisplayPort video wall media player ...read more. Kramer has released a 4K @ 60Hz switcher with 4:4:4 colorimetry to help prepare customers for expanding innovations in 4K video content display. The user-friendly VS-211H2 includes auto switching – last-connected and priority – and optional manual switching ...read more.